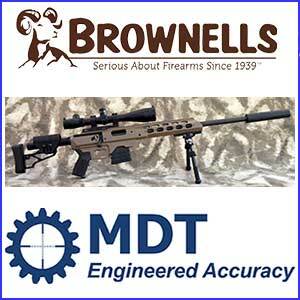 In the recent past I have purchased two Remington 700 SPS Tactical Rifles to be used with MDT Rifle Chassis for projects at Modularrifle.com. I end up paying for stocks I won’t use and then giving them away. 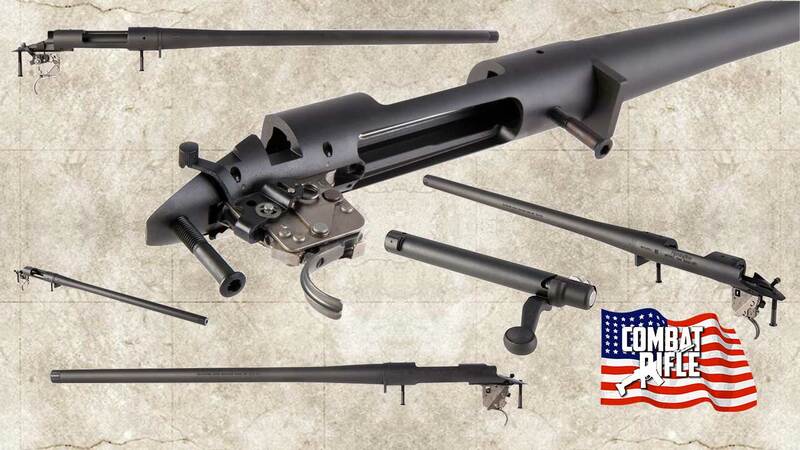 It’s nice to see these great Remington 700 barreled actions available without the stock. The Remington 700 SPS Tactical Barreled Action allows gun builders to start with a tried-and-true action and barrel combination, allowing them to add aftermarket stocks, optics and other options to build their ideal rifle. The Remington 700 SPS Tactical Barreled Action includes all of the same features found on the company’s SPS Tactical model, including a threaded barrel with a heavy-profile, perfectly suited for precision shooting. 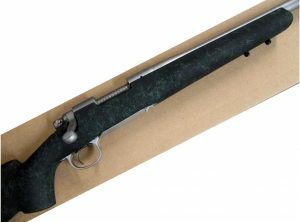 The Remington 700 SPS Tactical Barreled Action features a thread protector with a diameter of 0.850 inch and comes with an all-black finish. The H-S Precision Remington 700 Bottom Metal stainless steel conversion kits are designed to convert your Remington 700 BDL hinged floor plate over to a detachable magazine box feeding system. The external dimensions of the floor metal are identical to those of a factory hinged floor plate. Meaning this system will fit any stock with minor to no inletting required. The pro-series floor metal is constructed of stainless steel which is Teflon coated in a matte black finish. It features two positive lock spring tension levers on the bottom of both sides of the floor metal. 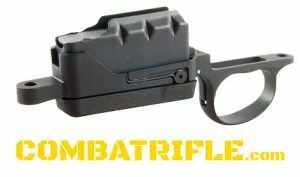 These levers create resistance against the polymer coated boot on the bottom of the magazine box to ensure a tight fit and eliminate any rattle, whether the box is empty or full. The new skeletonized latch located on the front front of the trigger guard works in conjunction with the robust spring to ensure a positive ejection of the magazine box every time, even with gloves on. H-S Precision magazine boxes are constructed of stainless steel, Teflon coated in a matte black finish, and feature an extremely durable polymer boot that encompasses the bottom of each mag. The polymer boot provides a great foundation for easily installing and removing the magazine box. We use a stainless steel follower with an extra large spring to ensure the rounds stack properly, regardless of how long you leave them loaded. They feature a center-feed/center-stack design that allows the cartridge to be directly in-line with the chamber every time, every round. The bolt simply has to push the cartridge out of the magazine box directly into the center of the chamber. In traditional staggered hinged floor plate designs the cartridges must first be aligned in the magazine box before the round can be chambered, they don’t always align properly and won’t feed as reliably. We offer 3, 4, 5, 7, and 10 round magazine boxes depending on long or short action calibers. Another great advantage to our magazine boxes is their versatility. The long internal length of all our boxes will allow the hand loader to optimize his accuracy even with the longest high BC bullets. You can use one of our magazine boxes for almost any caliber simply by adjusting the feed lips. If you have a wild cat or a pesky short mag, don’t worry, simply adjust the feed rails until they feed properly. Not appearing on the Remington website is one of their best kept secrets, the Remington 700 5-R Mil Spec. 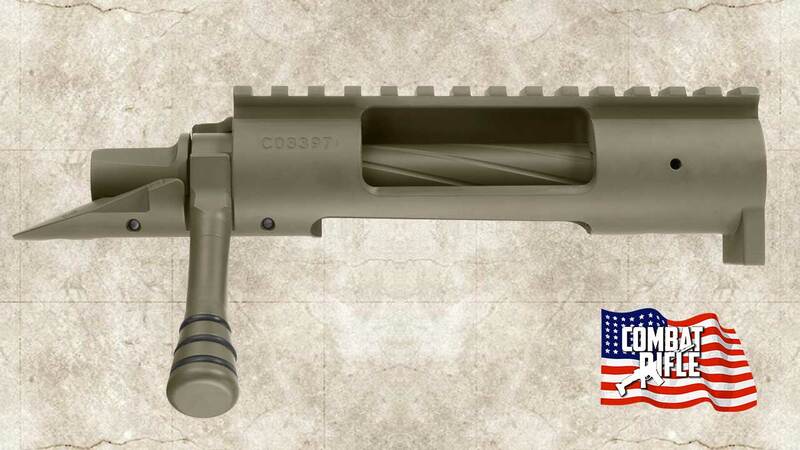 The Remington 700 5-R Mil Spec features a Remington M700 stainless steel barreled action with a 24 inch R5 mil-spec barrel, the same barrel used in the Remington Defense M-24 sniper rifles. 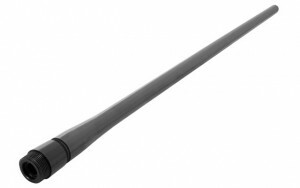 Barrel features a 11.25 inch twist rate with five lands and grooves and eleven degree target crown. Stock has aluminum bedding in block in standard VS configuration. “Offering this Model 700 for ten years is a testimony to the popularity and acceptance by shooters wanting to own an exceptionally accurate rifle at a reasonable price,” states Category Manager, Dave Regula. At the core of the 700 with 5-R Rifling is the machined stainless steel, cylindrical Model 700 receiver design ensuring uniformity, strength and solid bedding area. Unique to this precision rifle is the 24-inch stainless steel, heavy barrel featuring 5-R Tactical Rifling — the same hammer-forged barrel used on the Remington M-24 sniper rifles. The 5-R Rifling barrel features five lands with a right hand twist which allows for less bearing surface on the bullet for slightly increased velocity. As a result of less bullet drag, copper fouling in the bore is reduced ensuring long-term accuracy and consistency. The barrel is offered with a 110 target-style crown and a 1 in 11.25-inch twist. The rock-solid barreled action is full-length, aluminum bedded into a well-designed H-S Precision stock for enhanced stability and shot-to-shot consistency. Add Remington’s X-Mark Pro® externally adjustable trigger, designed to “break-like-glass” and set at 3.5 pounds from the factory, and this rifle delivers surgical-like accuracy. The Remington M2010 Enhanced Sniper Rifle (ESR), formerly known as the XM2010 and M24 Reconfigured Sniper Weapon System, is a modular sniper rifle developed by PEO Soldier for the United States Army. It is derived from the M24 Sniper Weapon System and replaced the existing M24s. After winning a competitive bidding process, Remington was awarded the production contract for up to 3,600 weapons. The Army had anticipated fielding upgraded weapons to deployed U.S. Army Snipers near the end of December 2010, but later expected fielding would happen in January 2011. The M2010 system differs from the prior M24 Sniper Weapon System in that it fires .300 Winchester Magnum ammunition to provide approximately 50 percent additional effective range relative to the M24’s 7.62×51mm NATO. 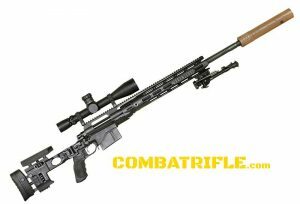 This chambering to dimensionally larger cartridges is possible because the M24 Sniper Weapon System was designed to use the “long action” bolt version of the Remington 700 receiver for cartridges up to 3.34 inches (84.84 mm) in overall length. Fitted with a Leupold Mark 4 6.5–20×50mm ER/T M5A2 Front Focal variable power telescopic sight featuring a 34 mm tube diameter, first focal plane Horus Vision H-58 grid system range estimation reticle and Bullet Drop Compensation,fielded with the AN/PVS-29 or AN/PVS-30 Clip-on Sniper Night Sight. In 2009 the U.S. government purchased MK 248 MOD 1 .300 Winchester Magnum match-grade ammunition for use in .300 Winchester Magnum sniper rifles like the U.S. Navy Mk13 SWS or reconfigured M24 SWSs. This ammunition was developed as a .300 Winchester Magnum Match Product Improvement (PIP) and uses the 14.26 g (220 gr) Sierra MatchKing Hollow Point Boat Tail (HPBT) very-low-drag bullet fired at a nominal muzzle velocity of 869 m/s (2,850 ft/s) ± 15.2 m/s (50 ft/s). According to the U.S. Navy this ammunition should increase the maximum effective range of .300 Winchester Magnum sniper rifle systems to 1,370 m (1,500 yd), decrease wind deflection on bullets in flight and use a reduced muzzle flash propellant that remains temperature stable across an operational temperature range of -32 °C to 74 °C (-25 °F to 165 °F).According to JBM Ballistics, using the G7 ballistic coefficient provided by Bryan Litz, and a Weapon Employment Zone (WEZ) analysis of the XM2010 rifle with various .300 Winchester Magnum ammunition types by Bryan Litz, the MK 248 MOD 1 .300 Winchester Magnum cartridge, when fired at its nominal muzzle velocity of 869 m/s (2,850 ft/s), should have 1,286 to 1,289 m (1,406 to 1,410 yd) supersonic range under International Standard Atmosphere conditions at sea level (air density ρ = 1.225 kg/m3). The U.S. Army issued three XM2010s to snipers at the United States Army Sniper School on 18 January 2011 and began using the rifle in combat in Afghanistan in March 2011. The XM2010’s .300 Win Mag round extends the engagement range over the M24 from 800 meters to 1,200 meters, enhancing lethality and standoff. The Barrett M107 .50 caliber rifle can hit targets past 2,000 meters, but it is accurate to 2.5 MOA, meaning it would hit within a 25 in (640 mm) area at 1,000 meters. This was acceptable for material targets, but not individual personnel. The XM2010 addressed the problem and gave increased range over the M24 but maintained 1 MOA accuracy. Remington had been awarded a $28 million on 20 September 2010 to rebuild 3,600 M24 rifles, but only 250 had been ordered to be changed by the time the first XM2010s were fielded. Due to the success of the XM2010, Army officials considered a “pure fleet,” meaning all 2,500 Army M24s would be upgraded to XM2010 standard. Snipers in the field learned how to transition to the XM2010 and learn its use, maintenance, and capabilities during a three-day course. After the course, snipers had no difficulty hitting targets out to 1,000 meters from “ridgetop to ridgetop.” In addition to the more powerful cartridge, the new optic enhances the rifle’s ability to sight a target quickly without needing to do calculations of range estimation. All 250 XM2010 rifles were to be fielded in 8 Brigade Combat Teams by mid-May 2011.